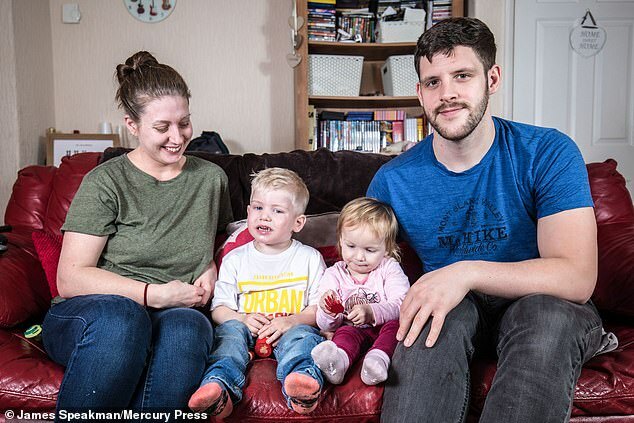 The parents of a three-year-old have been told their son has just months to live after his crooked smile turned out to be a brain tumour. Wesley Lacey, 28, and Rebecca Oldham, 29, weren’t too concerned when they noticed their son, Jack Lacey, was smiling on one side. It was only when he started to walk with his hands out in front of him and screaming in the night that they took him for a check-up. 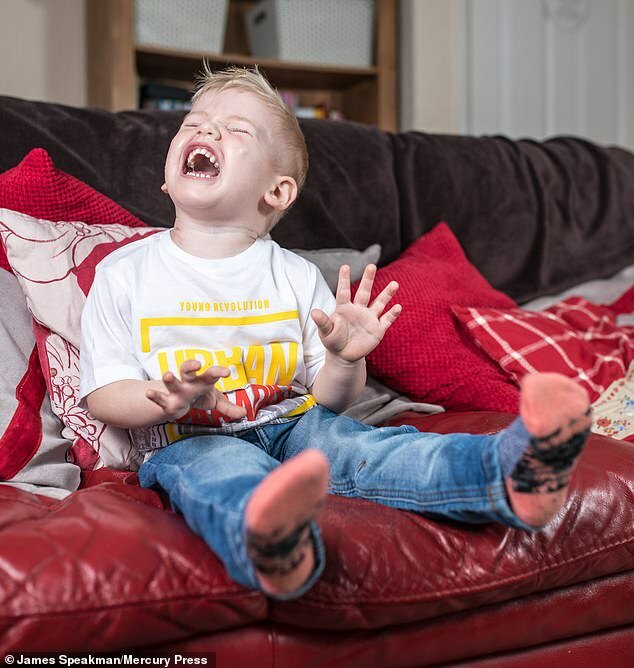 The couple, from Sheffield, South Yorkshire, were devastated to find out Jack had a Diffuse Pontine Glioma (DIPG) – an aggressive brain tumour. 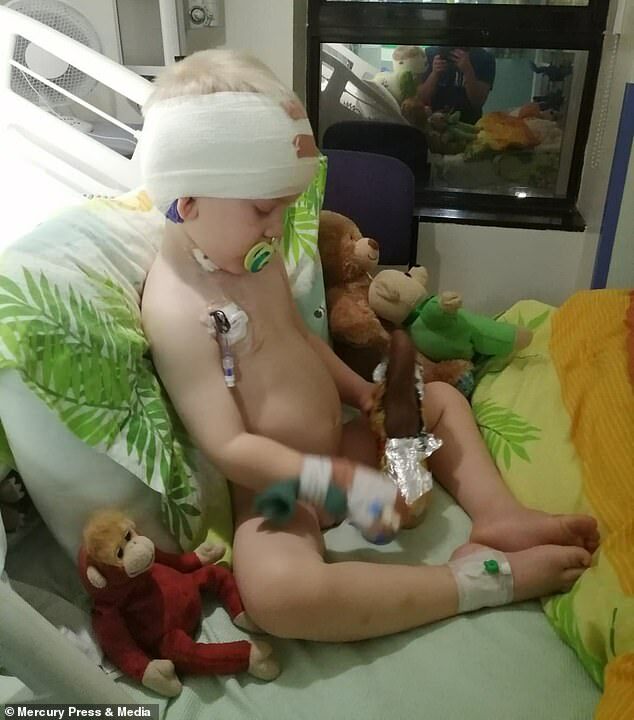 The tumour had caused a change in behaviour, and will cut the toddler’s life short in six to twelve months. Just ten per cent of children with DIPG survive longer than two years after diagnosis, according to figures. 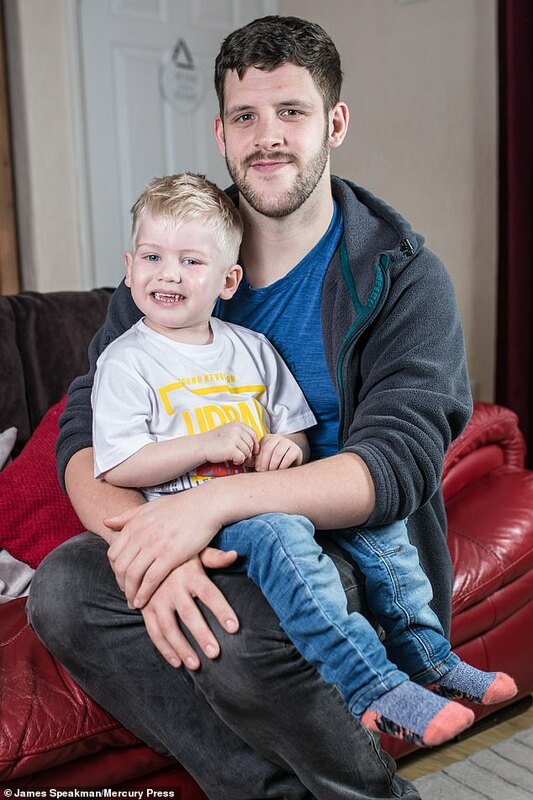 Father-of-two, Mr Lacey said: ‘We are broken. This news has been the darkest time of our lives, I can’t even begin to think about him not being there. ‘He hasn’t got any relatives who have passed away, there’s no one waiting for him. Speaking of the chain of events, Mr Lacey said: ‘Last month he started smiling with one side of his face, but we put it down to him seeing someone smiling like that and copying. Jack also developed what the couple thought was a tic, as he had started to blink with one eye. It wasn’t until he began walking as though he was blindfolded, and instead of stepping up a curb, he would get onto the floor and crawl onto it. 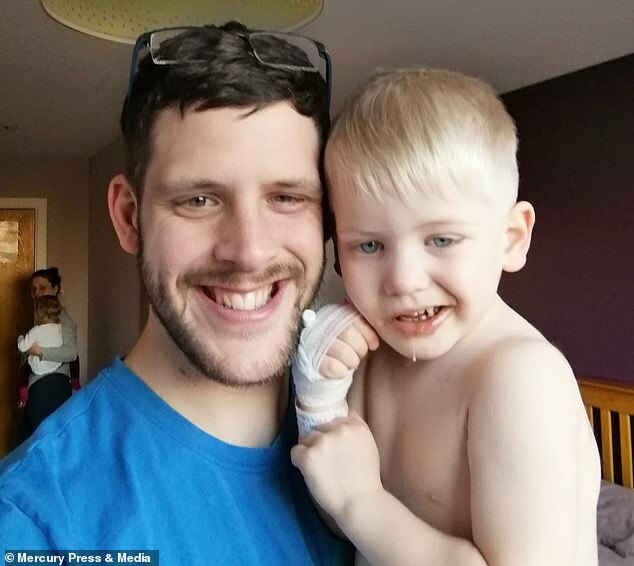 Mr Lacey, a secondary school teacher, said: ‘Jack has been riding his bike since he was one, so to see him walking like that, I just knew something was wrong. 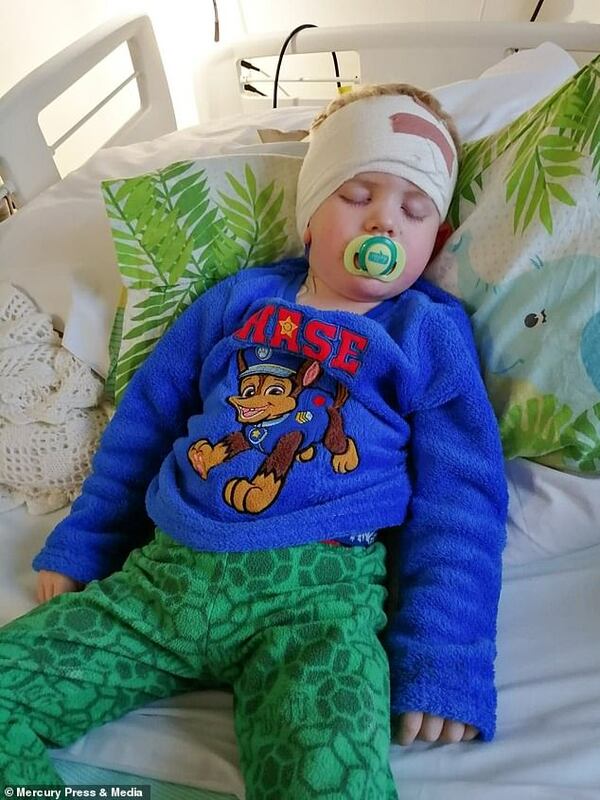 Doctors at Sheffield Children’s Hospital told Jack’s parents after a CT scan that the aggressive tumour, which may have been there for a long time, was terminal. 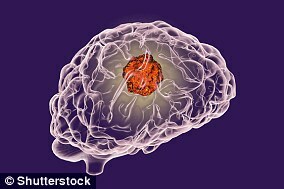 Diffuse Intrinsic Pontine Glioma also known as ‘DIPG’ is the second most common type of primary, high grade brain tumour in children, starting in the brain. They tend to grow quickly and have limited treatment options. 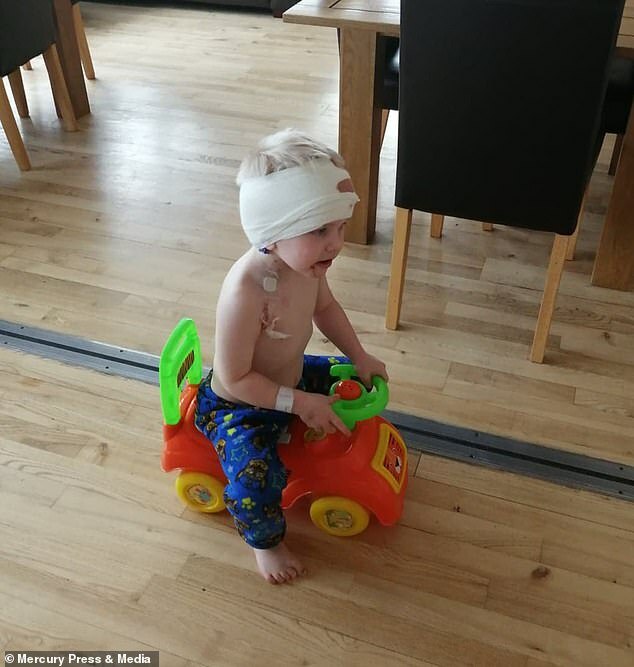 Jack had a biopsy in February and a device fitted to help fight the tumour. Mr Lacey said: ‘We’ve been told by our consultant that six months is about average for the type of cancerous tumour Jack has. ‘It is 12 months being from those who have a really positive reaction to treatment. 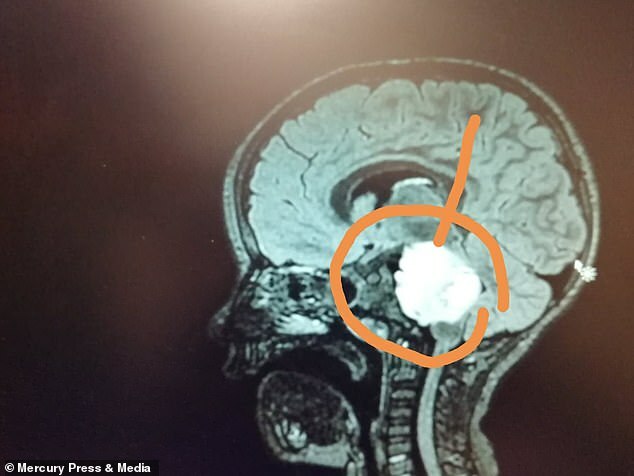 ‘The crazy thing is, the symptoms came about in the last four weeks, however, we’ve been told that the tumour has been growing for many months without symptoms. 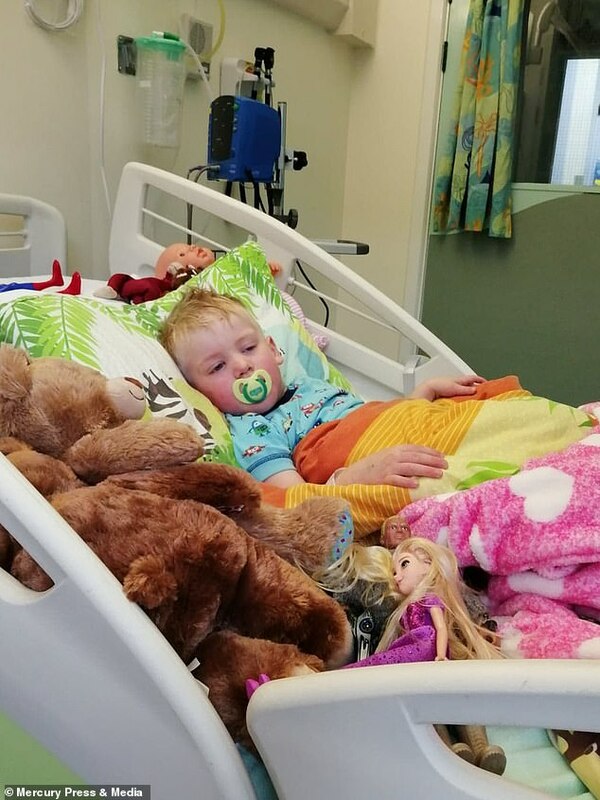 Jack is currently at home with his parents and two-year-old sister, Charlotte, but the couple have said that his personality is slowly changing due to the medication he is on. Mr Lacey said: ‘His behaviour not what it should be. ‘He was always a loving boy but now there have been times where he is absolutely crazy, with shouting and swearing from the drugs he’s been given. The steroids have made him aggressive. The family are now raising money to help towards funeral costs, and to give Jack some days out during his time left. Mr Lacey said: ‘We want to use the money to fund day trips out, holidays, presents, meals out. ‘We also want to take him to the cinema for the first time and buy him a dog. Jack’s already said he wants to call him Waffle. ‘We don’t want to think about this but it will also fund his funeral. To help Jack’s family raise money please visit their fundraising page.